The French Development Agency’s (AFD – Agence française de développement) corporate university has trained around thirty Moroccan and Tunisian civil service executives in the analysis of their respective authorities’ budgets. ‘We base our training on the PEFA methodology,’ explains Mihoub Mezouaghi, Training Project Manager at the Centre for Financial, Economic and Business Studies (CEFEB – Centre d'Etudes Financières, Economiques et Bancaires), which has been based in Marseille since 1995. The Public expenditure and financial accountability programme, launched in 2001 by a partnership (which included the World Bank, the Caisse d’Épargne and the IMF), aims to train public sector executives in budget analysis. At the beginning of June, around thirty Moroccan and Tunisian executives attended a 4-day seminar at Hammamet, which combined participative theory and practical case studies. In Marseille, the ‘show’ isl and, Allar, has marked the launch of the second phase of the Euroméditerranée urban operation. François Jalinot, Chief Executive of the public institution managing the Euroméditerranée programme, reiterates that this ‘must become the laboratory in which we develop new urban approaches to towns located in the South’. With the Thassalia (geothermal) seawater circuit, Allar Isl and is one of Euroméditerranée 2’s most formative programmes. 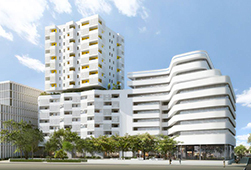 Developed by Phosphore (Eiffage’s forward-looking research programme), this project, dubbed ‘Smartseille’, aims to test out innovative, sustainable construction ideas. On 10 April, Pierre Berger, the group’s CEO, laid the first stone of this joint programme, which will cover 58,000 m² across an area of 2.7 hectares in the north of the city (a 90 million euro investment). It will be completed in 2018. The Institute of Economic Forecasting for the Mediterranean World (IPEMED – Institut de Prospective Economique du Monde Méditerranéen) launches ‘The Vertical MEA’. 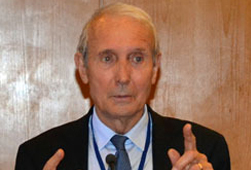 Trade is becoming more intensified within the large, integrated area known as ‘Europe–Mediterranean–Africa’, asserts Jean-Louis Guigou. The Executive Director and founding member of IPEMED is confident about a ‘verticalisation’ of the economy. The Mediterranean, which marks the crossroads between Europe, Asia and Africa, is once again taking on a central role, claims IPEMED, estimating that the area will have a population of 3 billion by 2040. The foundation project has received political support from the African Union, the Arab League and Europe. It intends to model itself on the United Nations Economic Commission for Latin America and the Caribbean, whose influence was decisive in the structural transformations of this space. 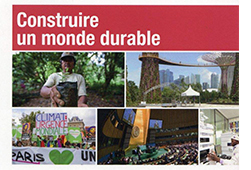 The appearance of the 2015 edition of Regards sur la Terre presented a good opportunity for a conference (on 26 May) on worldwide changes in sustainable development policies. Samir Aita (Chair of the Arab Economists Circle), Jae-Sung Lee (a professor at Korea University) and Oleg Lugovoy (a Russian economist) have been invited by the Institute for Sustainable Development and International Relations and the AFD to present their views on changes in development models in each of their respective countries. With three major events taking place this year — the Addis Ababa conference on Financing for Development, the General Assembly of the United Nations’ process to develop the Sustainable Developments Goals (SDGs) and the Paris conference on climate change — 2015 heralds a new era of negotiations. To combat the dilapidation of the medinas, the European Investment Bank has launched the ‘Medinas 2030’ initiative. Experts met in Tunisia on 4 and 5 June. By 2030, almost 80% of the population will be concentrated in 10% of the South Mediterranean territory. The ‘Medinas 2030’ initiative, housed within the Centre for Mediterranean Immigration (CMI) in Marseille, aims to support Arab countries in their redevelopment plans for the medinas. 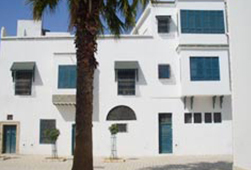 The experts who have been mobilised met in Tunisia for two working meetings: 4 June, on the role of local authorities and civil society in the governance of the heritage of Arab and African cities; 5 June, on the redevelopment of old housing and the urban regeneration of historic centres in Tunisia. The Observation, Analysis and Forecasting Centre has just produced a study, which attempts an integrated approach to the impact of human activities on ecosystems. The tremendous pressures exerted on ecosystems by human activities result not only in degradation but also in costs to society. 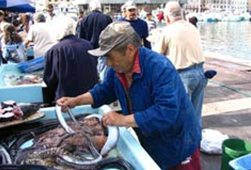 To evaluate the ‘good environmental status’ of marine systems, the Contracting Parties to the Barcelona Convention have adopted the Ecosystem Approach (EcAp) to take into consideration all the social and economic aspects associated with human activities. Within this framework, Plan Bleu have studied the methods that would allow them to ‘give an account of ecosystem services and assess how human activities both benefit from them and impact them at the same time’. This line of credit, granted by the EIB, the AFD and the BERD, will be available until 2016. 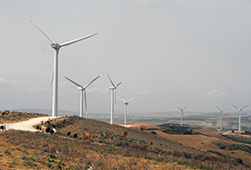 At the same time as the bill relating to the production of electricity from renewable energies was adopted by the Assembly of the People’s Representatives (ARP –Assemblée des Représentants du Peuple), Tunisia received 100 million euros of financial assistance to be allotted to sectors operating in energy efficiency, the development of renewable energies and depollution. Granted by the EIB, the AFD and the BERD, this line of credit mainly comprises allowances issued to local banks to encourage them to finance these activities. The creation of a Regional Youth Observatory in the Marrakesh-Tensift-El Haouz (MTH) region was made official on the 9th of April, 2015, when its first board of directors took place, gathering the Regional Council of MTH, the National Observatory for Human Development (ONDH), Cadi Ayyad University, and two NGOs: “Fondation Marrakech 21” and the Centre for Development of the Tensift Region (CRDT). Given the success of OCEMO’s cooperation initiatives with its initial application in Morocco, OCEMO also took part in this meeting. 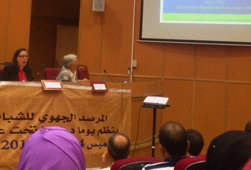 The fourth of June this year, the Regional Council of MTH held a seminar on « Regional Observatories and territorial development », at its head office in Marrakech. This event gathered international, national and regional organizations such as Cadi Ayyad University, Aix-Marseille University (with Prof. Eric Verdier, economist and sociologist, Lest, CNRS), OCEMO, as well as various observatories in Morocco and in France (for Morocco, the ONDH and the National Labour Market Observatory ; for the MTH region, the Regional Observatory of Environment and Sustainable Development and the Regional Housing Observatory ; and the Regional Employment and Training Observatory of the Provence-Alpes-Côte d’Azur region in France). On that occasion, OCEMO went through the main findings of the survey on young people’s expectations as well as through its prospects for boosting knowledge creation, notably as part of the MTH Regional Youth Observatory’s future work. This is the title of the conference jointly organised by OCEMO and the Portuguese Consulate-General, with the support of AviTeM. 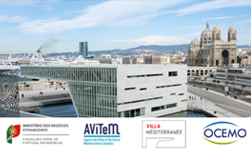 It will be held next Thursday 18 June from 11am to 12:30pm at Villa Méditerranée, Marseille. This event contributes to the momentum initiated with MedCop21 and further explores the topic of global warming. The event on 18 June will be chaired by Mrs Teresa Ribeiro, Deputy Secretary General for Energy in the Union for the Mediterranean (UfM) Secretariat. She has significant experience in international relations and European Union institutions, and will present her own expertise and that of UfM. One of the UfM’s priority themes is the fight against climate change and energy-related issues. These fields require dialogue and mutual solidarity as the cooperation mechanisms initiated must remain unifying across the Euro-Mediterranean region. Other speakers will also promote discussion: Mr Joel Guiot, Director of the Fédération de Recherche and Director of the OT-Med Laboratory; Mr Hugues Ravenel, Director of Plan Bleu, Mediterranean Action Plan Regional Activity Centre; Mr Said Mouline, Director-General of the Moroccan National Agency of the Development of Renewable Energy and Energy Efficiency (ADEREE).